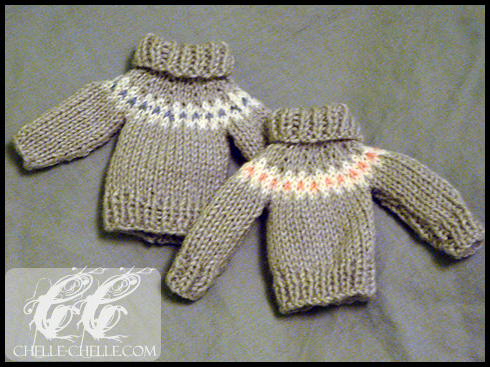 The blue sweater’s sleeves were knit in the round on two dpns (3.oomm needles) while the pink sweater’s sleeves were knit flat and seamed. 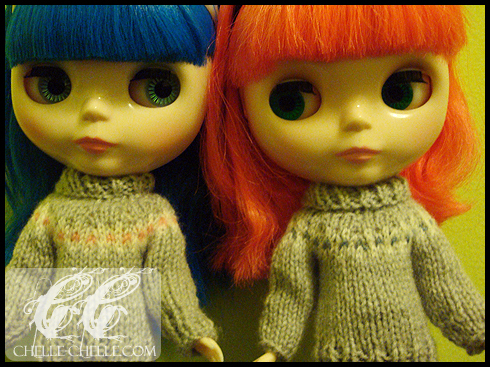 My lovely models are (from left to right): Mollie and Moxie. I received them both (gifts) in December 2011.